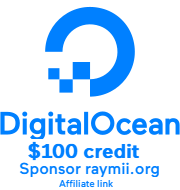 Digital Ocean Affiliate Link, $10 free credit. This is a guide on setting up an IPSEC VPN server on Ubuntu 15.04 using StrongSwan as the IPsec server and for authentication. It has a detailed explanation with every step. We choose the IPSEC protocol stack because of vulnerabilities found in pptpd VPNs and because it is supported on all recent operating systems by default. More than ever, your freedom and privacy when online is under threat. Governments and ISPs want to control what you can and can't see while keeping a record of everything you do, and even the shady-looking guy lurking around your coffee shop or the airport gate can grab your bank details easier than you may think. A self hosted VPN lets you surf the web the way it was intended: anonymously and without oversight. A VPN (virtual private network) creates a secure, encrypted tunnel through which all of your online data passes back and forth. Any application that requires an internet connection works with this self hosted VPN, including your web browser, email client, and instant messaging program, keeping everything you do online hidden from prying eyes while masking your physical location and giving you unfettered access to any website or web service no matter where you happen to live or travel to. This tutorial was written and tested on a Digital Ocean VPS. If you like this tutorial and want to support my website, use this link to order a Digital Ocean VPS: https://www.digitalocean.com/?refcode=7435ae6b8212. You will get $10 free credit, which is equal to two months of a free $5 VPS. IPSEC encrypts your IP packets to provide encryption and authentication, so no one can decrypt or forge data between your clients and your server. It also provides a tunnel to send data to the server. This VPN setup is called a road-warrior setup, because clients can connect from anywhere. Another much used VPN setup is called site-to-site, where two VPN servers connect two networks with one another. In a road warrior setup your local network isn't shared, but you do get access to the server's network. 1 (or more) clients running an OS that support IPsec IKEv2 vpns (Ubuntu, Mac OS, Windows 7+, Android 4+). Ports 4500/UDP, 500/UDP, 51/UDP and 50/UDP opened in the firewall. I do all the steps as the root user. You should do to, but only via sudo -i or su -. The previous tutorials all used L2TP to set up the VPN tunnel and use IPSEC only for the encryption. With the IKEv2 protocol and newer operating systems (like OS X 10.8+, Android 4+, iOS 6+ and Windows 7+) supporting IKEv2 we can also use IPSEC to set up the tunnel, before we used IPSEC to do that. This VPN will therefore not work out of the box on older operating systems. See my other tutorials with L2TP on how to do that. Android and Windows client configuration is covered at the end of the tutorial. StrongSwan is a descendant of FreeS/WAN, just like Openswan or LibreSwan. Strongswan however is actively developed, whereas the other ones, except LibreSwan are less. StrongSwan is in default in the Ubuntu repositories. You can read more about Strongswan on wikipedia or their website. The VPN server will identify itself with a certificate to the clients. The clients can use a certificate to authenticate themself, this tutorial however keeps it simple and sets up username and password authentication as well. On Android with the StrongSwan Application you can just import the .p12 we are going to create later on. On Windows 7, we'll use EAP to configure a username and password for our client. Haveged provides a constant source of entropy and randomness. subject:  "C=NL, O=Example Company, CN=strongSwan Root CA"
issuer:   "C=NL, O=Example Company, CN=strongSwan Root CA"
The domain name or IP address of your VPN server, which is later entered in the clients connection properties, MUST be contained either in the subject Distinguished Name (CN) and/or in a subject Alternative Name (--san). If this does not match the clients will fail to connect. The built in Windows 7 VPN client needs the serverAuth extended key usage flag in your host certificate as shown above, or the client will refuse to connect. In addition, OS X 10.7.3 or older requires the ikeIntermediate flag, which we also add here. We add the IP address twice, one with an @ in front so that it gets added as an subjectAltName of the DNSName type and one of the IPAddess type. subject:  "C=NL, O=Example Company, CN=vpn.example.org"
The private key (/etc/ipsec.d/private/strongswanKey.der) of the CA should be moved somewhere safe, possibly to a special signing host without access to the Internet. Theft of this master signing key would completely compromise your public key infrastructure. Use it only to generate client certificates when needed. Any client will require a personal certificate in order to use the VPN. The process is analogous to generating a host certificate, except that we identify a client certificate by the clients e-mail address rather than a hostname. We create a keypair for the example user "John". A VPN client needs a client certificate, its corresponding private key, and the signing CA certificate. The most convenient way is to put everything in a single signed PKCS#12 file and export it with a paraphrase. Enter a passphrase twice, then you have a .p12. You can send John.p12 and its export paraphrase to the person who is going to install it onto the client. In some cases (iOS for example) you have to separately include the CA certificate cacerts/strongswanCert.pem. Transport this John.p12 file and the password over seperate channels to a client. If you need any more user certificates, repeat the above steps with other user data. You can also do this later on. 04[CFG] using trusted certificate "C=NL, O=Example Company, CN=strongSwan Root CA"
04[CFG]   crl correctly signed by "C=NL, O=Example Company, CN=strongSwan Root CA"
charondebug="ike 4, knl 4, cfg 4, net 4, esp 4, dmn 4,  mgr 4"
This configuration has settings for three types of VPN services: IKEv2 + RSA certificate, IKEv2 + EAP and IKEv1 + Xauth, thus providing compatibility for a wide range of recent IPsec clients. Apple added support for IKEv2 in iOS 8, but it needs to be configured using a custom configuration profile. OS X does not support IKEv2 (not on 10.10 or lower). For iOS 9+ and OS X 10.10+ you need to make sure the leftid= is the same as the CN in your certificate. You also need to enter that on the devices, otherwise you'll get a no matching peer config found log error. Android 4+ and Windows 7+ support IKEv2. Clients will get the Google DNS servers and an IP address in the 10.42.42.0/24 range. We use a strong ciphersuite. The leftcert=vpnHostCert.der expands to the path /etc/ipsec.d/certs/vpnHostCert.der. The users are configured in the /etc/ipsec.secrets file. In the example above the RSA private key file vpnHostKey.der stored in the /etc/openswan.d/private/ directory is not protected by symmetric encryption (a password). The PSK for IKEv1 connections is also defined. Add as many users as you like there. The first line allows all users with a valid certificate to use the VPN, the other lines allow users without a certificate to login with a username and password. The space between the username, the colon (:) and EAP needs to be there. I strongly suggest adding NO users here, and setting NO PSK. Use certificates, they are much more secure. Replace %SERVERIP% with the external IP of your VPS. If your external interface is not named ethX (+ is a wildcard) then rename appropriately. Execute the below commands to enable kernel IP packet forwarding and disable ICP redirects. Add it before the exit 0 line and replace %SERVERIP% with the external IP of your VPS. StrongSwan ipsec.conf reference for most of the configuration. zeitgeist for the certificate setup.